I recently had the opportunity to taste some incredible wines with the help and charity of my friend William Allen. William tweets and blogs under the moniker @sonomawilliam. He’s been very supportive of my blog and was especially so on a recent afternoon when he invited me to his home to expand my palate for French Syrah and really dive deep into the Northern Rhone. William had recently returned from a fact-finding trip to the Northern Rhone where he was able to taste producers who make wine in the style that he aspires to with his own Two Shepherds label; that is, with little manipulation and either very little or no new oak. He brought back cases of wine and was looking forward to tasting through some of his loot. 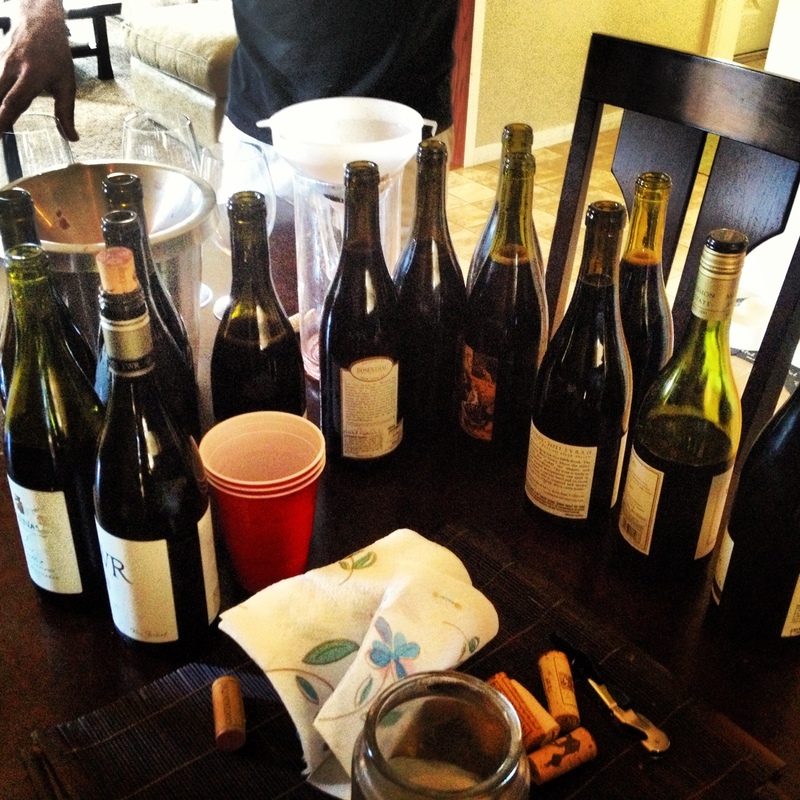 William laid out a hefty sample of wines from the five major Syrah regions in the Northern Rhone: Crozes Hermitage, St. Joseph, Côte-Rôtie, Hermitage, and Cornas. Our idea was to pit the regions against each other to see if we could come up with a clear winner. In retrospect it was a pretty ridiculous task to attempt. Even though we had a lot of wine in total, our sample sizes for each of the particular regions were probably too small and some of the wines within each region showed so differently that it was difficult to make any pronouncements. We decided to start with St. Joseph.Our bottles were the 2010 Gangloff St. Joseph, the Faury 2010 St. Joseph, and the 2010 Cuilleron St. Joseph L’ Amarybelle. As would be evident throughout the rest of the tasting, these wines were simply too different to make any across the board judgments about St. Jospeh as a whole. The Gangloff was grossly over-oaked upon opening (and even after a quick decant) it reminded me of a California Cabernet (William said the wine tasted better later in the evening). The Faury and the Cuilleron were beautiful wines. The Cuilleron especially brought a fair amount of pepper, iron, insect, earth, and minerality, all with underlying aromas of violet, raspberry, and strawberry. The Faury was also aromatically gorgeous, with aromas of cherry and cola, and structured but less tannic on the finish. It was the most accessible of the St. Joseph wines but also markedly different than the rest. We next tasted 2010 Gangloff and Faury Côte-Rôties. Neither wine had any Viognier in them which is actually more common than people think. Viognier is allowed but not always added in Côte-Rôtie. Again, the Gangloff was an oak bomb with great acidity on the mid-palate and the finish, but hard to get any sense of the wine through all that oak. The Faury was again a star, and even without the Viognier, it was a floral wine, elegant with bacon fat and some of that textbook Northern Rhone minerality. The mid-palate had a fair amount of acidity and there was a tannic punch on the finish. The Faury was an impressive wine but obviously we needed more wines here to really make any sweeping generalizations about the region. We went on to Crozes Hermitage, an area of the Northern Rhone that is known to produce wines that vary greatly in quality. The wines are usually a lower price point too. We tasted a 2010 Chave Selection Crozes Hermitage that showed quite well with savory aromas and a little barnyard. It had a core of acidity and a nice long finish. We also tasted a Colombier Crozes Hermitage that unfortunately I forgot to write any notes on (yes I was spitting this entire tasting so I can only blame my own poor organizational skills). For Hermitage we tasted one example, the 2007 Jean Luis Chave Selection Farconnet Hermitage. This wine unfortunately was overly oaked in my opinion, and had some good dark fruit. It was hard to parse out the aromas through the oak. Hermitage is obviously a region I want to revisit (as were all these regions!!) especially if I can find some examples of producers who are more restrained with their oak treatment. The Cornas selections were the moment I’d been waiting for and we had three to taste: A 2009 Domaine Courbis Champelrose Cornas, a 2006 Franck Balthazar Cornas Chaillot, and a Cuilleron 2010. Unfortunately the Cuilleron was the only one that showed well, with aromas of pure berry fruit and a vivacious mid-palate, and although it had a tad too much oak it was otherwise was a spectacular wine. The other two seemed off balance–the Balthazar especially was off balance and with distinct aromas of dead animal or wet dog. I was a little disappointed but happy with the way the Cuilleron showed and clearly I will continue to search out other producers from the region. So, what can be said to sum up the tasting. Just like every region in the world, it’s hard to make any pronouncements about the state of wine based on such a small sample size, and in fact it would be irresponsible to do so. Even though many of the wines didn’t show super well, I was supremely impressed with the ones that did and also surprised at the general diversity of the wines within the region. It’s clear to me (and this has also been borne out by other experiences) that there are philosophical differences in regards to oak within each region and these differences again make it difficult to make any generalizations. For future reference, I now know that Cuilleron and Faury are producers from which I need to buy more wine to get to know better. The other take-away from this tasting is that except for the Gangloff wines, you would never mistake any of these wines for anything other than Syrah, which unfortunately is not always the case for New World iterations of the variety. This is Syrah in all its original and authentic glory and it was a pleasure to be able to compare so many at one time. Many thanks to William Allen for allowing me to participate in such an amazing and educational tasting. 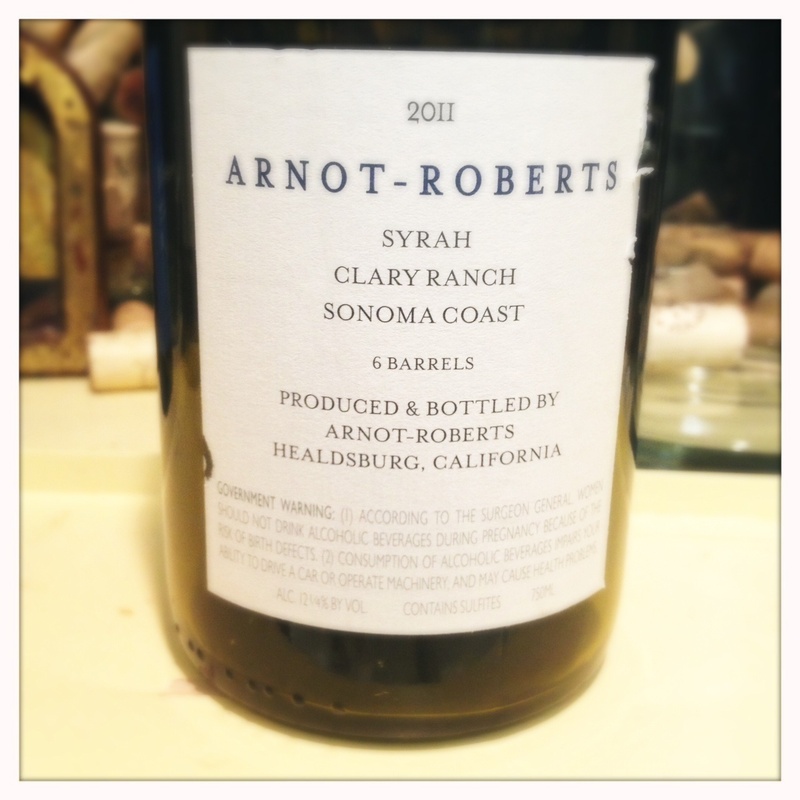 I’ve been wanting to try the Arnot Roberts Clary Ranch for a long time. Unfortunately I had not been able to get a hold of it and was balking at the price a little. But I found a bottle at Arlequin Wines in San Francisco and decided to pull the trigger. The Clary Ranch has enticing and mouth-watering aromas of gravel, celery root, black olive, menthol, and plum. I can’t detect a hint of oak on this wine. The palate is all verve and tension and licorice tobacco. It’s not rich at all but rather elegant and energetic. The finish has loads of nice acidity, which might be a little over the top for some (not me), and which definitely makes this a wine that can age for a long time. Clary Ranch is one of those mythical places in California for Syrah. It’s more coastal and cooler than most other vineyards in the Petaluma Gap and is besieged by cool coastal winds and fog for most of the year. Most years the grapes barely ripen. One has to be committed to truly making Syrah on the edge and also be optimistic that a market will be there once its made. Duncan Arnot-Roberts and Nathan Lee Roberts were named winemakers of the year in 2012 by Jon Bonné of the Chronicle. Bonné called their winemaking style an example of a New California, one disassociated from the hedonistic style of years past. I can’t help but agree with that assessment. All the wines that I’ve tried from Arnot-Roberts are elegant and restrained with a purity of fruit left unmasked by oak and alcohol. I briefly met Duncan Arnot-Roberts at the amazing Seven Percent Solution tasting in Healdsburg a few months ago. When I mentioned that I was telling the story of cool-climate Syrah in California he gave me a big smile and an enthusiastic high five. You can sense that passion and commitment in this wine. I know that “passion” is a word that is thrown around a lot, and I try to use it sparingly, but in this case I can’t resist. There’s no other explanation for making a distinctive wine like this year after year. 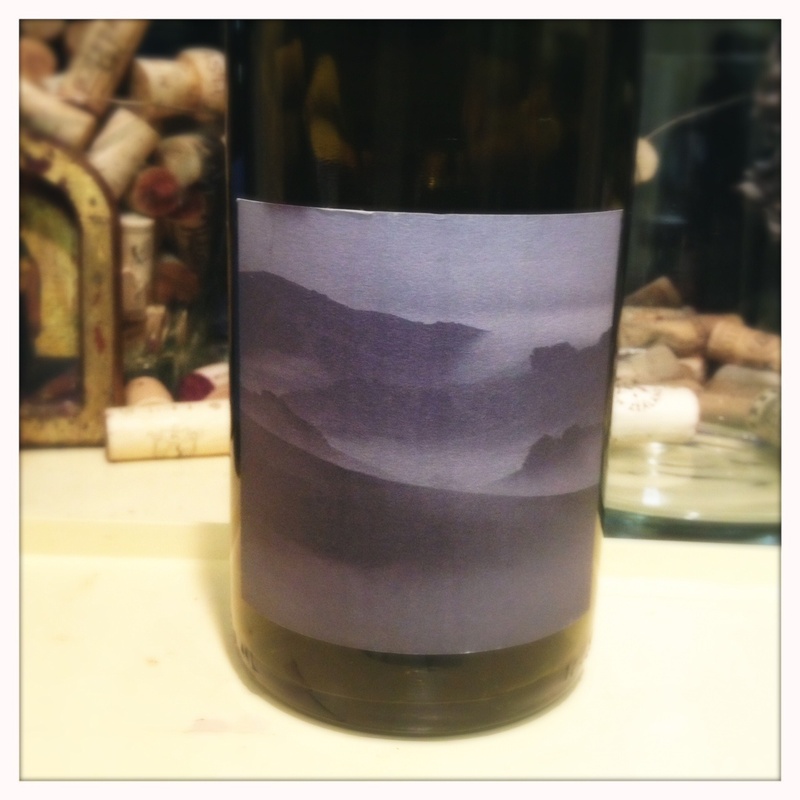 It’s wines like this that keep me writing and excited about Syrah in the New World. Simply put, this Syrah just shouldn’t be so good, or it just shouldn’t be so damn varietally correct. California Syrah is normally different than this, more Shiraz-like, higher in alcohol and sweeter. But this wine is so unexpected because it’s just so out of the ordinary for California. And this is the story that I want to tell: there are producers out there that are most definitely bucking the trend. It’s been fun to write about French wines (and I will continue doing it to educate my palate) but sometimes I struggle to tell the story of those wines beyond the tasting notes. They’re delicious wines, but I expect them to be exactly the way they are. Not that there’s anything wrong with that — they simply taste appropriately French. But New World wines made in a surprisingly elegant and food-friendly style that evoke a French sensibility is a story that gets exciting for me. It’s a story I will continue to tell as long as there are surprising and mouth-watering wines like this.